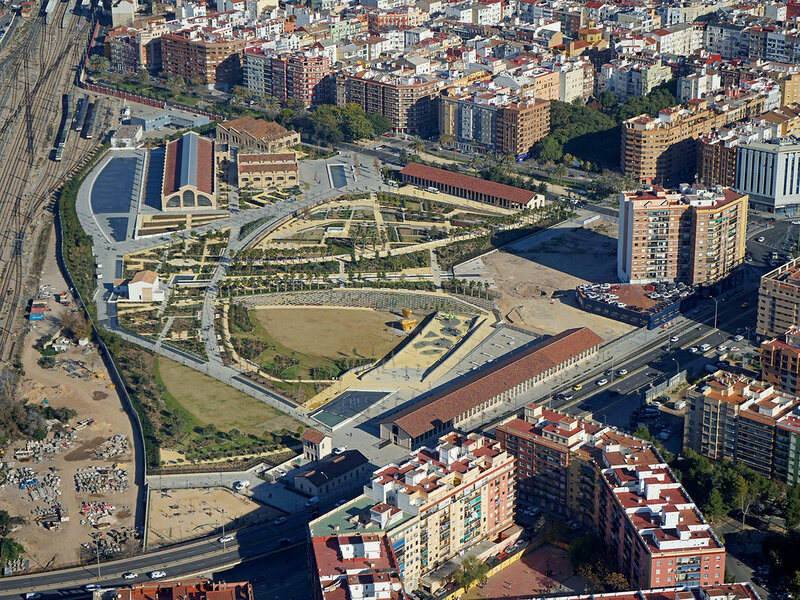 Parque Central is one of the Valencia’s most significant redevelopments to date and will create a new contemporary public park which celebrates the culture of the region. Located in the grounds of a ruined 13th-century Benedictine nunnery, ‘Towards Paradise’ was the first major landscape commission by the Venice Architecture Biennale. Opened by HM the Queen in 2004, the Diana, Princess of Wales Memorial Fountain was one of the most high-profile publicly-funded projects in the UK and has since attracted millions of visitors, won a series of international awards and become one of London’s most popular attractions. Our landscape design transforms two lightwells into lush gardens which are organised to support the main east-west axis of the new masterplan. 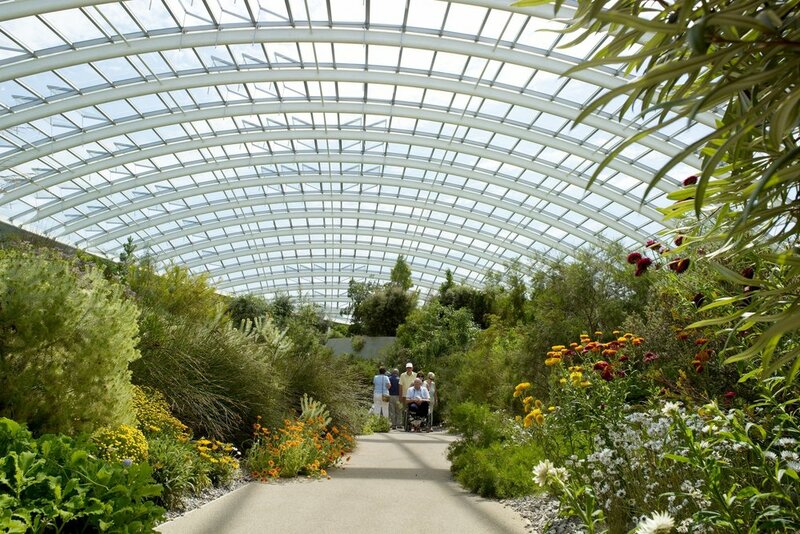 Designed to house some of the most endangered plants on the planet, the garden's dramatic changes in topography naturally provide differing degrees of protection, exposure, moisture and aridity, while also functioning as a sculptural form supporting a cultural display. 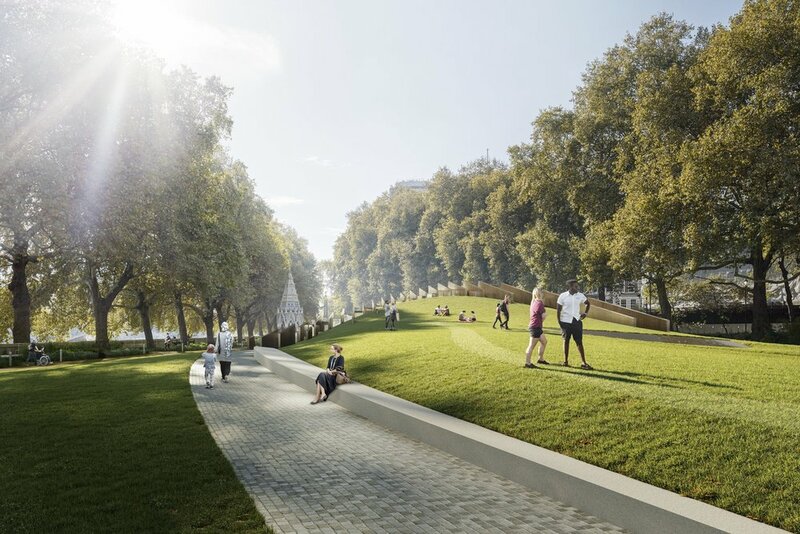 Working in collaboration with Adjaye Associates and Ron Arad Architects, our winning proposal focuses on establishing a nationally significant landmark for current and future generations to reflect, mourn and learn. Our masterplan seeks to create a ‘city living room’ in front of the cultural buildings, comprised of a sequence of spaces which correct past interventions and improve the current site. This 4,400-hectare public park and visitor centre aimed to celebrate and protect the cultural and environmental riches of a unique gravel plain in the uplands at the base of Jebel Hafeet Mountain. Hili Archaeological Park was designed as major heritage centre offering exceptional opportunities for education, culture and leisure. 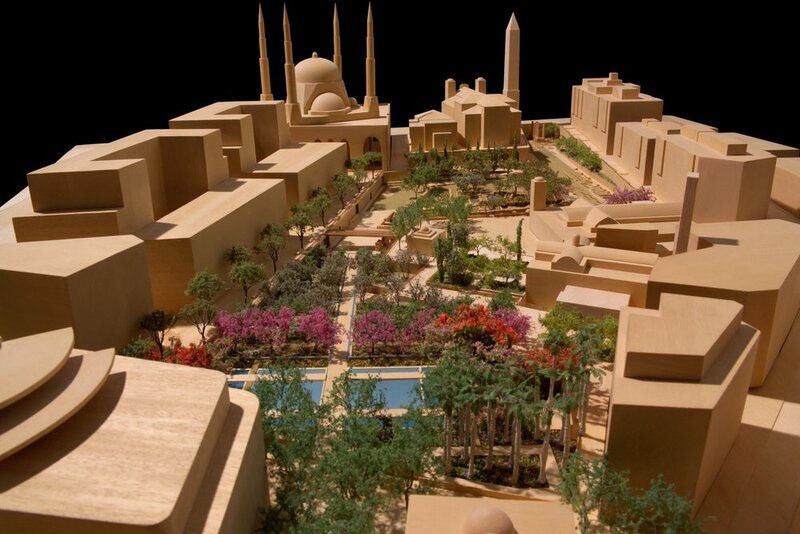 The Gardens of Forgiveness represent Beirut's past, present and future and is a reflection of the vibrant city which surrounds it. Our proposals for Pargue’s Charles Square makes sensitive changes to the park’s historic layout whilst transforming the space into a flexible, comfortable living room where local people and visitors will choose to spend time. Dating back to 1365 and situated close to Moscow’s historic Red Square, our competition design incorporates viewing corridors which forge diagonal paths across the site to frame views of the historic buildings nearby. Located in the centre of Abu Dhabi, this 16ha site encompasses some of the country’s most significant heritage buildings: most notably the Qasr Al Hosn Fort, an early example of Emirati Culture. The Renaissance Museum invites visitors to reflect on Oman’s past, present and future, and functions as a foreground to the vistas provided by the surrounding landscape context. Our proposals for a memorial to Jordan’s King Hussein (1935-1999) represent the man through different layers and levels of meaning, whilst creating a landscape experience that takes visitors on a journey of remembrance and discovery.